Best known today for his performances in films such as An American in Paris (1951), Anchors Aweigh (1945)— for which he was nominated for the Academy Award for Best Actor—and Singin’ in the Rain (1952), he starred in musical films until they fell out of fashion in the late 1950s. He starred in, choreographed, and/or directed some of the most well-regarded musicals of the 1940s and 1950s, debuting with Judy Garland in For Me and My Gal (1942), and followed by Du Barry Was a Lady (1943), Thousands Cheer (1943), The Pirate (1948), On the Town (1949), and It’s Always Fair Weather (1955), among others. In his later career, he starred in two films outside the musical genre: Inherit the Wind (1960) and What a Way to Go! (1964). Throughout his career, he also directed films (some of which he starred in), most notably the 1969 film Hello, Dolly!, which was nominated for the Academy Award for Best Picture. 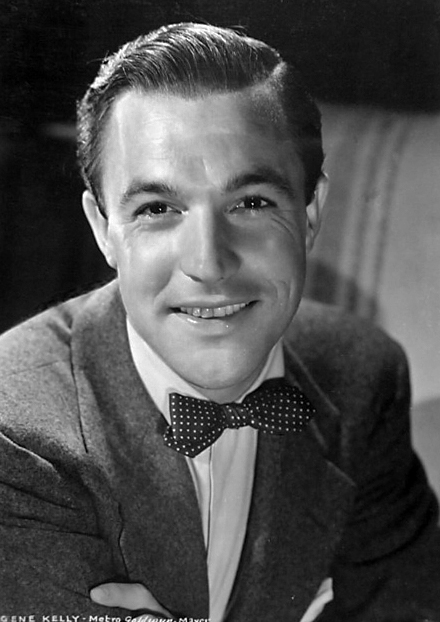 Kelly received an Academy Honorary Award in 1952 for his career achievements, the same year An American in Paris won six Academy Awards, including Best Picture. He later received lifetime achievement awards in the Kennedy Center Honors (1982), and from the Screen Actors Guild and American Film Institute. In 1999 the American Film Institute also numbered him 15th in their Greatest Male Stars of Classic Hollywood cinema list.